Does this picture look odd? The color of the cranberry sauce looks like nail polish, but trust me, it tasted very good. 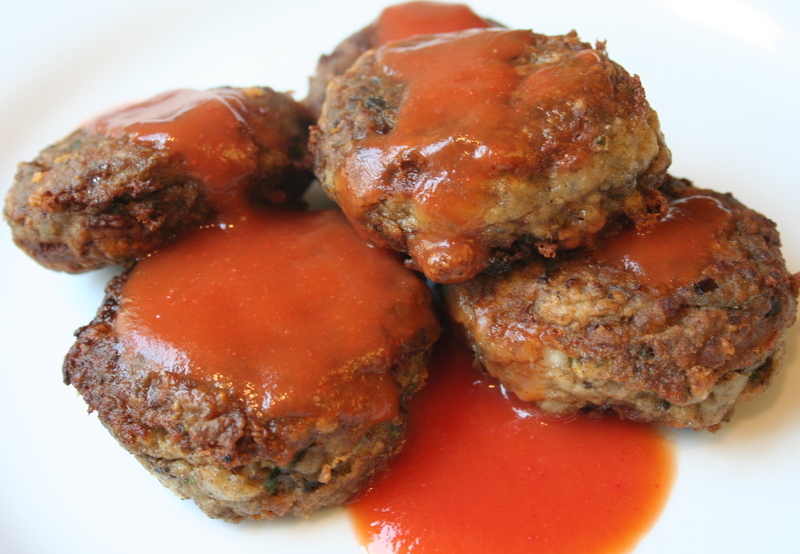 I imagine many people have figured out that I'm mad for meatballs, and this recipe also fulfills my quest to eat iron rich foods. 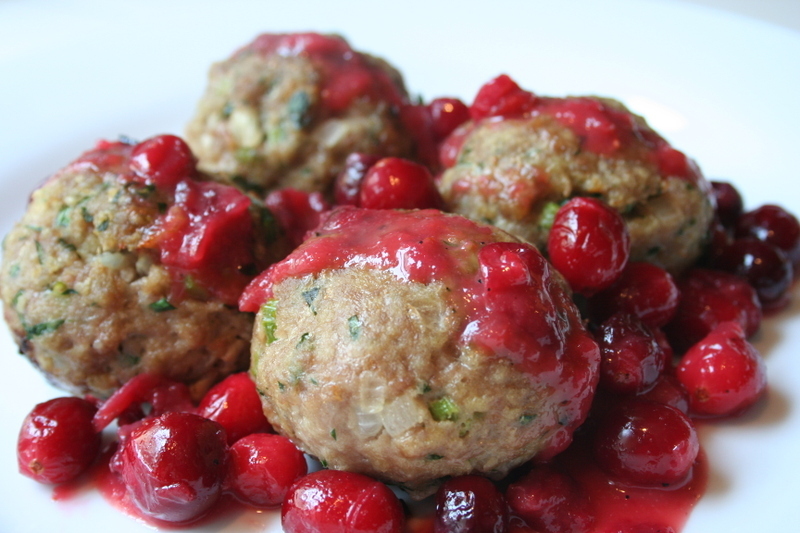 Turkey is high in iron, and the cranberries supply vitamin C, which facilitates absorption of iron into the body. These aren't my favorite meatballs, but I liked the taste of the fresh oregano in the recipe, coupled with the tart, sweet cranberry sauce. Fresh oregano tastes very different to me than when it's dried. I like them both, but prefer Penzeys excellent dried oregano, which explodes with flavor and aroma. But, the bitter, pine taste of fresh oregano seemed the perfect herb to complement the cranberry sauce. And it seems a good recipe for Weekend Herb Blogging, the weekly event created by our marvelous Kalyn, of Kalyn's Kitchen. This week WHB is being hosted by the lovely Simona at Briciole, where you will find a recap of herby recipes from bloggers around the world. Sometimes I check cookbooks or the Internet for new meatballs recipes. There's just something about a little orb of meat, seafood, or poultry that captures my interest. I think it dates from when I was a kid, eating spaghetti and meatballs. 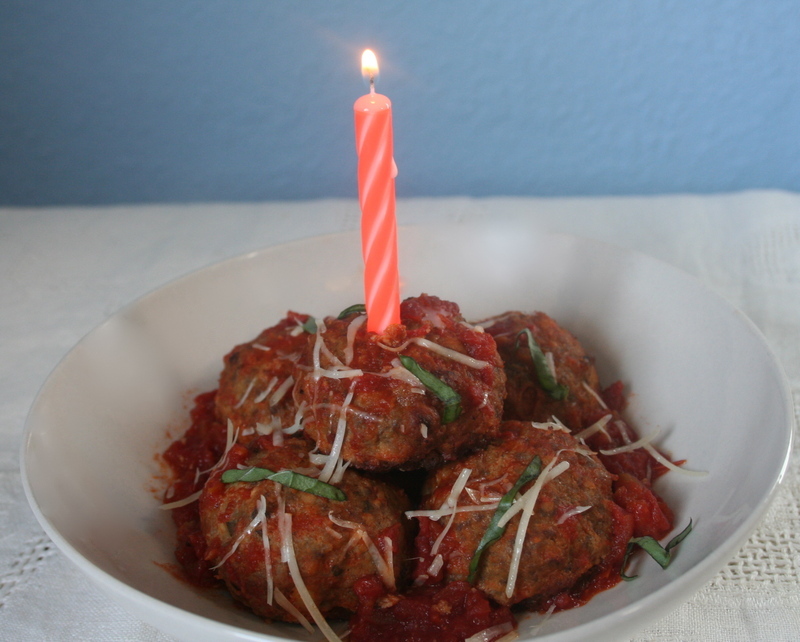 It was always a red letter day when my mother made it, and I regarded the meatballs as some sort of toy food. You could roll them around on the plate or imagine tossing them in the air and catching them with your mouth. Several months ago, I saw this recipe on Epicurious and it immediately caught my attention. It was rated with four forks by people who made them. Four forks is not easy to achieve on Epicurious, and when I looked at the recipe it seemed to be pretty simple. I wondered why it would have garnered such praise? Well, I made a big batch of the meatballs and they were very good indeed. They aren't my favorite meatballs. 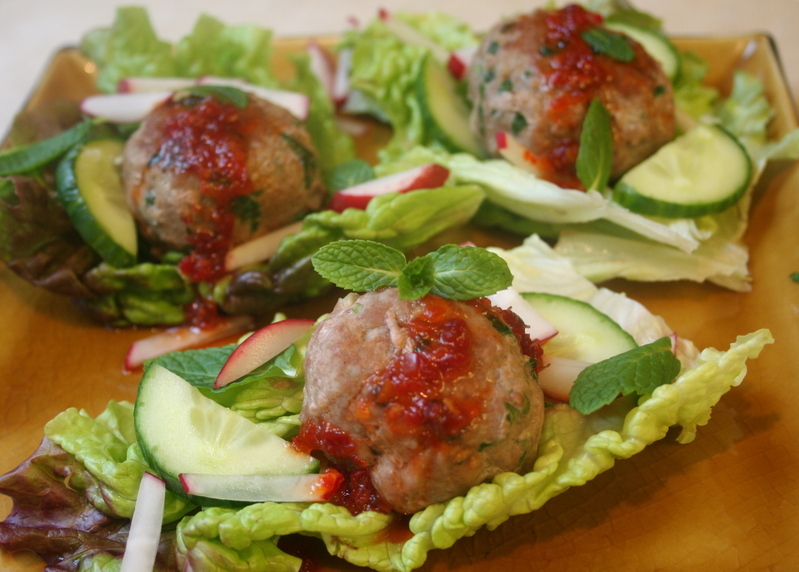 That would be Vietnamese Meatballs and Pork And Ricotta Meatballs. But, they were quite good. 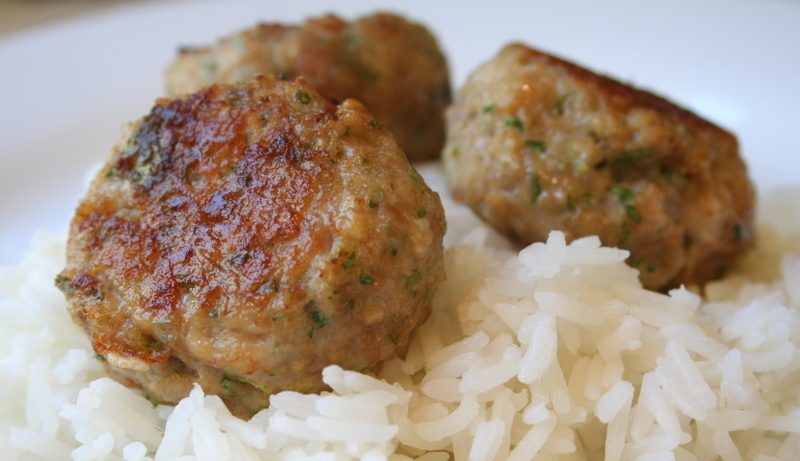 I confess that meatballs hold a special place in my heart. I look for new recipes to try, mainly because I want an excuse to eat the little buggers. This recipe was simple to make and great fun to eat. 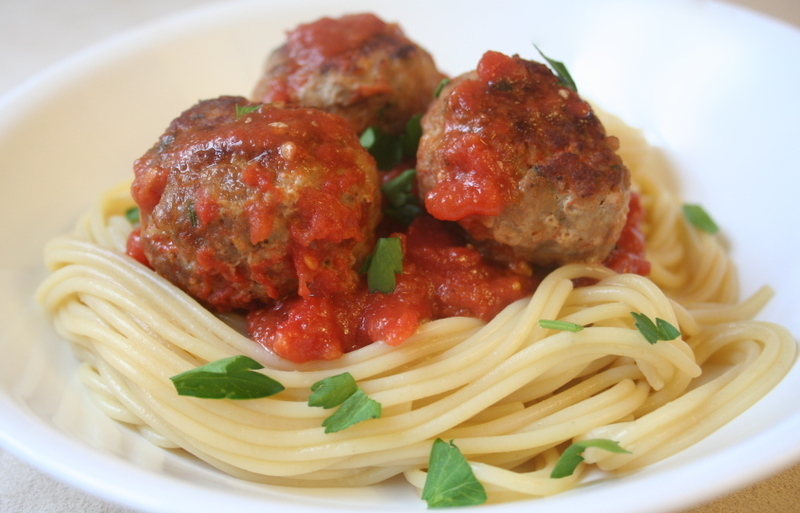 The meatballs were juicy and full of flavor, due to the chopped sundried tomatoes mixed into them. 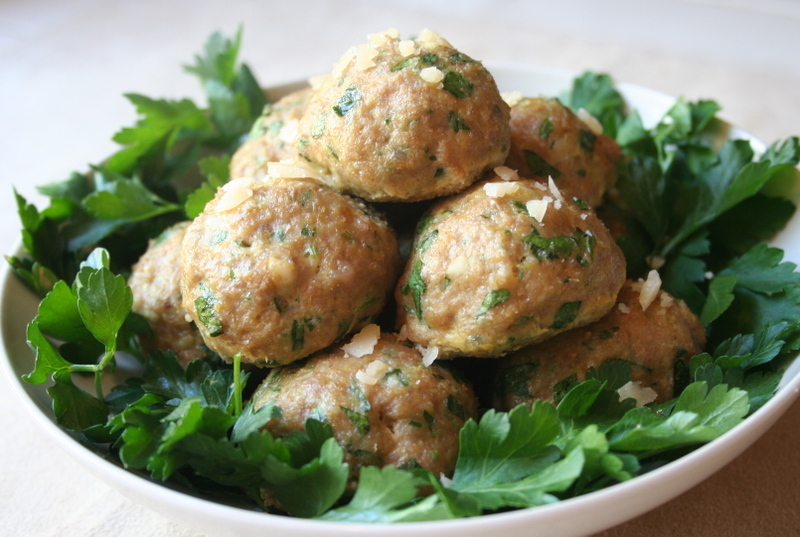 Meatballs freeze beautifully and I like to have them on reserve, to pull out a few to eat when I'm feeling a little hypoglysemic. And they're handy for when I don't feel like cooking. I served these with pasta, but they're wonderful with rice or (my favorite) a big chunk of crusty bread. This is my submission to Presto Pasta Night, which was started by the wonderful Ruth at Once Upon A Feast. 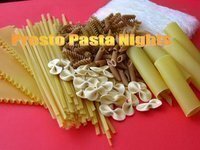 Each Friday Ruth has a recap of wonderful pasta recipes from bloggers from all over the world. So, stop by and check it out.